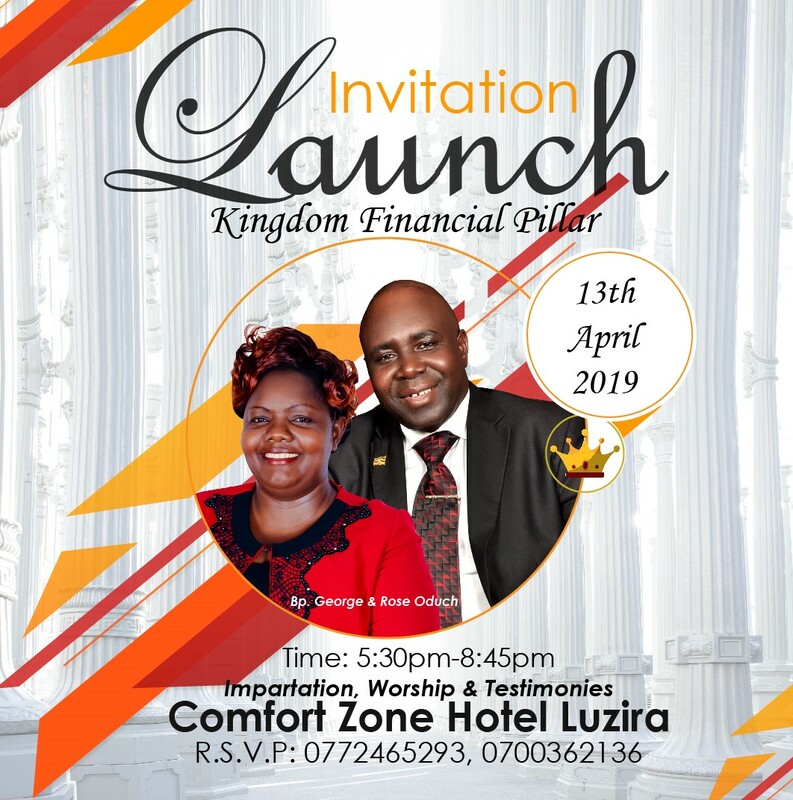 We are pleased to invite you to our 1st Kingdom Financial Pillars fellowship Launch on 13th of April 2019 5:00-8:00pm at Comfort Zone Hotel Luzira. This Launch is the start of a quarterly event that shall be held four times a year. This event is bringing together all who receive the Word of God through Victory Church of Christ Ministries International by means of our Radio, Television and Sunday Church Service Programs. Many have been blessed through our various church activities and the ministry of the word and others have been a blessing to the ministry. We are therefore using this fellowship to appreciate them and prophetically speak a blessing over them as we celebrate what the Lord has done through the word and testify of progress made. You are most welcome and hope to see you.